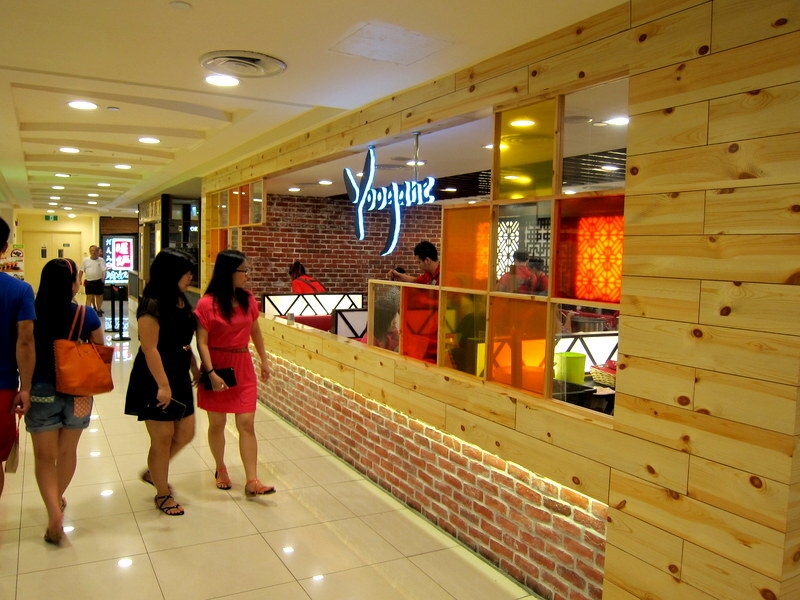 Korean (Singapore) – Simply foodolicious! おいしい! 好吃! 맛있는! délicieux! delicioso! 好食! What a rare post on Korean food from myself! But Chi Bing, where we had our team lunch one fine afternoon, actually blew me away quite a little. Went in without any expectations, only keeping in mind that I will see loads of red sauce and sweet tasting stir fry (e.g. bulgogi) and some overly priced bingsu, I walked out filled with utter satisfaction as everything on the menu (at least what we have ordered) tasted hearty, unpretentious and more importantly, priced very reasonably. A smiley service throughout rendered by the polite Koreans (our ajuma cooking for us in the picture above) and with the familiar DOTS soundtrack playing in the background, our experience was further accentuated by the Korean crowd around us! A testament indeed to its authenticity. Mango Smoothie 망고 스무디 and Green tea mint Choco frappe 민트초코 프라페 – I think what makes them really appealing, is the Korean worded label that the cup is wrapped in. Small gimmick, but would definitely catch the attention of some! Tasting more like chocolate mint ice cream, the green tea flavour has to be stronger as it could easily be overwhelmed by the mint. $6.70 each. The free flow of pan chan that you could get from the counter. Did a little bit of mathematics and realised that the set would be much more worthy than the ala carte as each set includes one main stir fry (2-3 pax) together with a complementary choice of topping, steamed egg and a bing su. Set B 치빙세트 B we got, that is the seafood stir fry which was filled with loads of small octopus, mussels, some chicken, prawns and the chewy toppoki. Evenly coated in the thick chilli sauce, every element in this platter was heavy tasting; definitely a hearty mix for the Koreans and I reckon it is better than Yoogane which has created a big buzz when it was first launched. $41.90. An extra topping was ordered for $3.90. 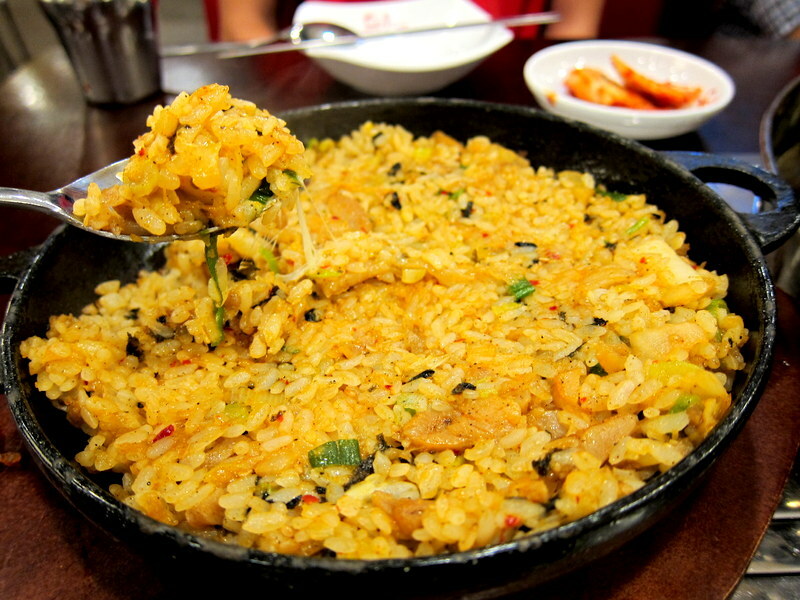 Fried rice that came in a mass tin, what a good way to plate this old, traditional dish which I guess was meant for the masses in the past when Korea wasn’t as wealthy as she is today. The complementary steamed egg – So fluffy within, made even more appealing with that bubbling froth on top, this pot of lightly buttered steamed egg is definitely comforting to the soul. $4.90 if the set isn’t ordered. 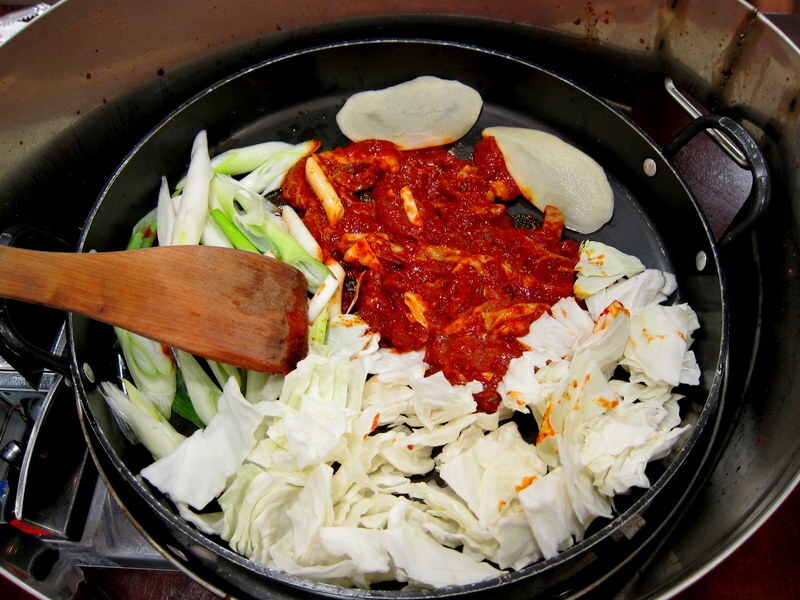 Tofu Stew 순두부찌개 – Generous servings of huge, smooth tofu served in the spicy broth. The tofu was good but the broth was somehow not my favourite as it was lacking in sweetness. $9.90. Ginseng Chicken Soup Sam gyetang 삼계탕 – A huge pot of comforting ginseng chicken soup. Not exactly thick and rich, the soup though, felt adequately flavoured and permeated throughout with the chicken essence. 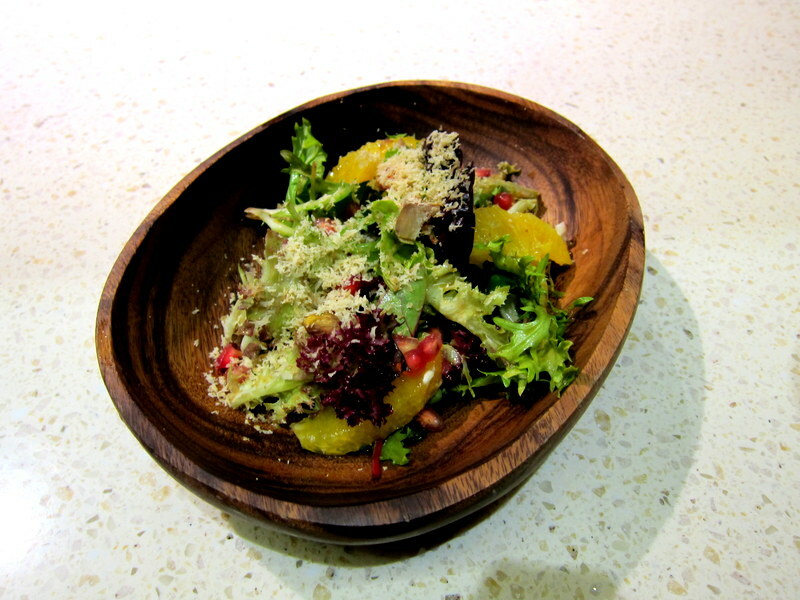 A delicious healthy bowl which we could indulge in without having to worry of any artificial flavourings. And man, those bones literally melt in your mouth that there was nothing left at the end. $19.90. 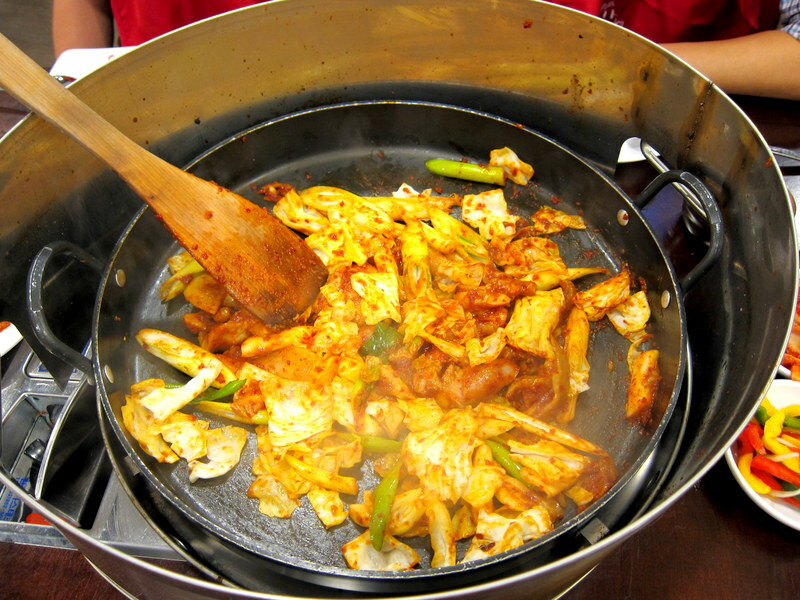 Huge Seafood pancake 해물파전 – Cooked in a pan, this large and thick pancake tasted doughy and perhaps needed more flavour to it. The dip at the side though, saved the dish by rendering it a savoury slant. We would prefer the pancake to be less charred. $21.90. Time for desserts and Bingsu they were. Not expecting such good quality ones at all as I have been dismayed terribly at my virgin experience at Nunsongyee. I actually felt that Bingsu is quite a piece of terribly priced dessert. Not saying that it is cheap here, this small Yoghurt Bingsu 요거트 빙수 has the exact coveted creaminess and every flake melted to give a llao llao or milk and honey experience. $8.90. Drizzle over this Injeolmi Bingsu 인절미 빙수 with that condensed milk by the side, it further accentuates the nutty body that the smooth pulverised nuts rendered. What sets this greatly apart from Nunsongyee is the evenly flavoured shaved ice that most importantly tasted sweet even when not coated with the condensed milk. $9.90. Our final bingsu for the day that came down hard on our taste buds. Mango and cheesecake Bingsu 망고치즈 빙수 – Topped with a creamy ball of vanilla ice cream, made even heavier and milkier with that thick cheesecake, this will suit greatly the super sweet toothed. $12.90. Chi Bing has definitely surprised me in many ways. A very large menu for such a humble restaurant that I believe only has a small kitchen, they are still yet able to uphold the consistency of almost every dish we ordered. This, we felt is worth saluting at. Dan-Gyeol. 단결! 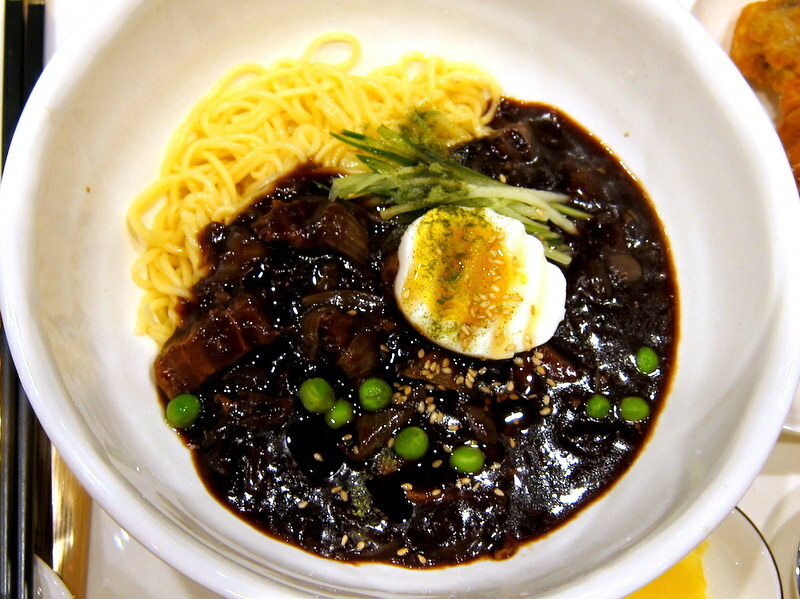 Guksu Noodle House 국수 – The Chicken and desserts were surprisingly more memorable! 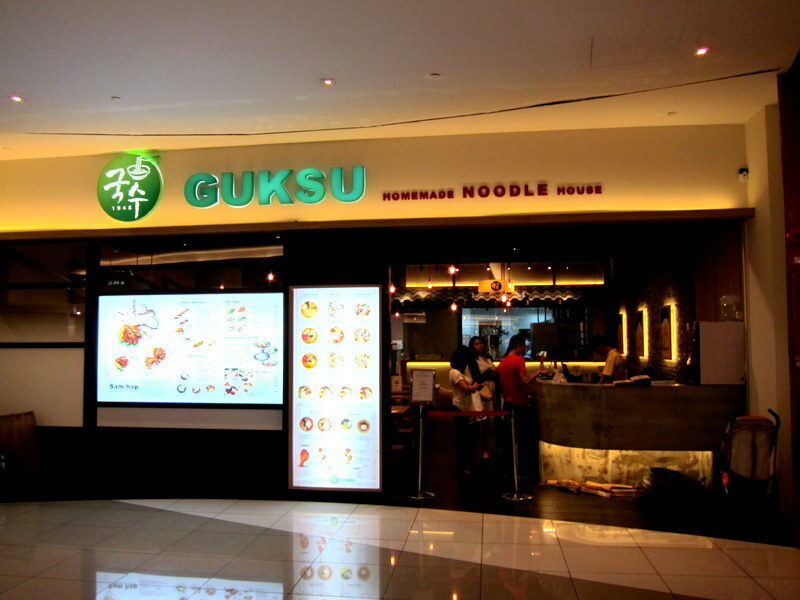 We are familiar with the smoky Korean BBQ and spicy chige hotpot but this Korean noodle house, Guksu 국수, may be the first in Sg. Indeed, this has added more variety to the Korean food scene over here. Given that it’s a specialty restaurant, it should be expected to deliver its noodles brilliantly, but I was slightly more bought over by the fried chicken side dishes and desserts. S got the Zha Jeon Meon which though wasn’t the signature of this place, actually looked quite delectable as the springy noodles are soaked in the tangy flavourful sauce. SYNC Korean Tapas Bar – Fun Korean-inspired Holiday menu! Look out for the Kimchi fries! 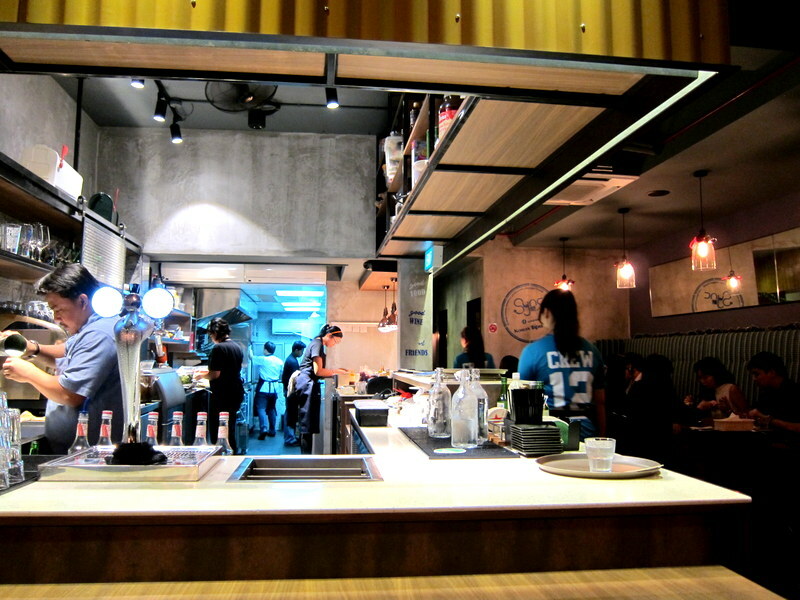 Since the recent opening of their first Korean Fusion Bistro at Westgate, SYNC has been doing so well that they have opened another branch, known as the SYNC Korean Tapas Bar at the chill Serangoon Garden area. Combining well-loved Korean dishes with Spanish-style tapas, it has indeed delivered an interesting culinary experience. It would be a shame if that purely means serving hearty Korean food in bite sizes but SYNC made the difference by whipping up these Korean dishes with a western slant. Starting from $9.90, the creative team will be launching 6 mouth-watering tapas to celebrate this festive season and you would have the chance to grab them from 12 Dec to 2 Jan 2015. Now lets see what’s so special. A booming Galbi restaurant in South Korea, it has finally opened a restaurant in Singapore at the super crowded Bugis Junction. 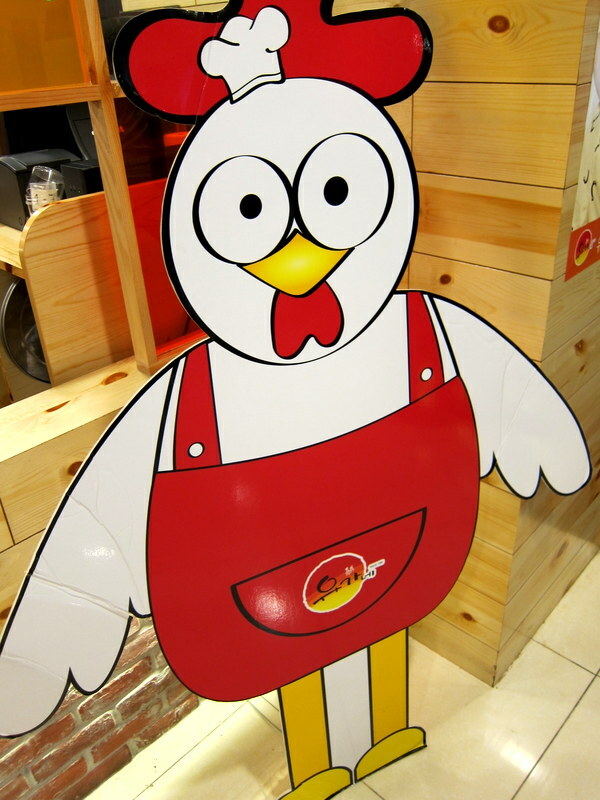 With about 130 branches in S. Korea, it is no wonder that there is a constant queue outside this restaurant. To reduce the waiting time, you are encouraged to make your order while queuing and everything will be set up nicely the moment you get in. Fast and efficient, the characteristics of an Asian restaurant indeed. So yes, like most Korean restaurants in Sg, you get your free flow of pan chan just that it’s self service over here. The kimchi is really spicy and it’s the first time that I couldn’t finish past one fifth of this! 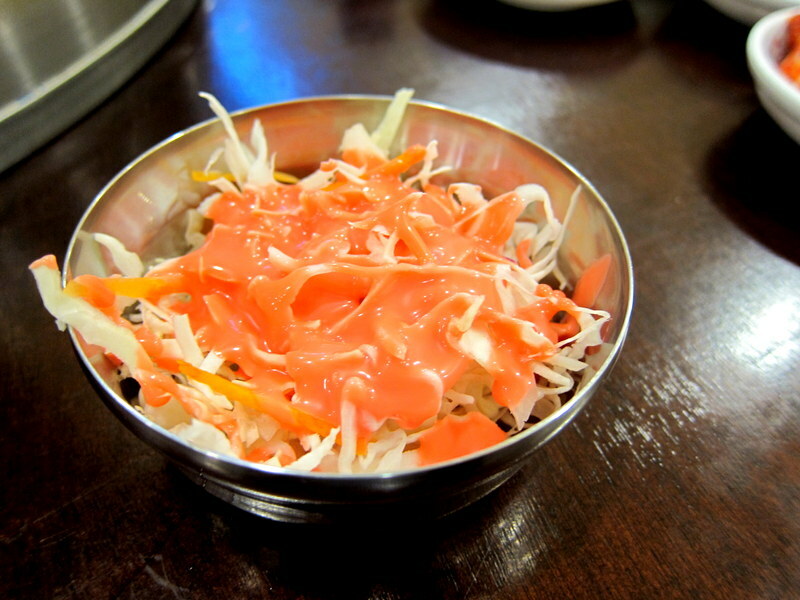 The most interesting panchan is definitely this bowl of salad splashed with strawberry sauce. Slightly sweet, this creamy sauce tastes very similar to your marigold strawberry milk and goes really well with the cabbage. And there we had the chicken and octopus Galbi all uncooked. Don’t worry if you want a relaxing weekend meal as the service crew will be the one cooking for you. It’s really pretty fun looking at the transformation of your dish. By the way, if you have more than 2 people and want to have a Galbi dish, then you have to order a minimum of 2 portions of it. And we also got the Rameon as toppings which was added when the octopus and chicken are cooked. 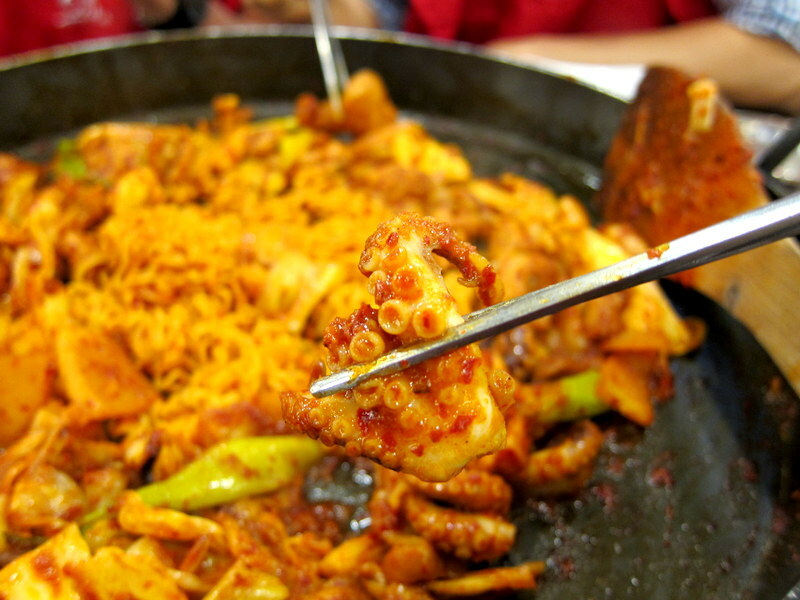 Octopus has a really springy addictive texture while the chicken is very tender and well marinated. Comfort food it is for the Koreans, it is still tasty to me but not mind blowing. I guess it may be because the sauce is more straightforward and Galbi dishes are slightly more greasy. 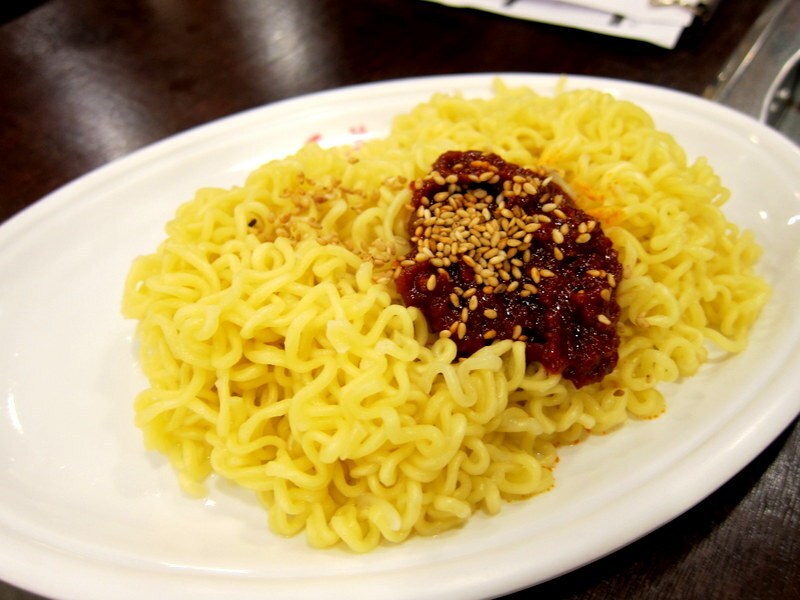 But if you are one who loves comfort food, you would definitely enjoy this loads. And we got the bulgogi fried rice that has melted cheese embedded in this. This is a comfort food that I would highly recommend as there is a burst of flavours the moment one starts chewing on it. Very special, delicious and fragrant every rotund rice grain is, the stretchy texture allows one to savour the taste longer. 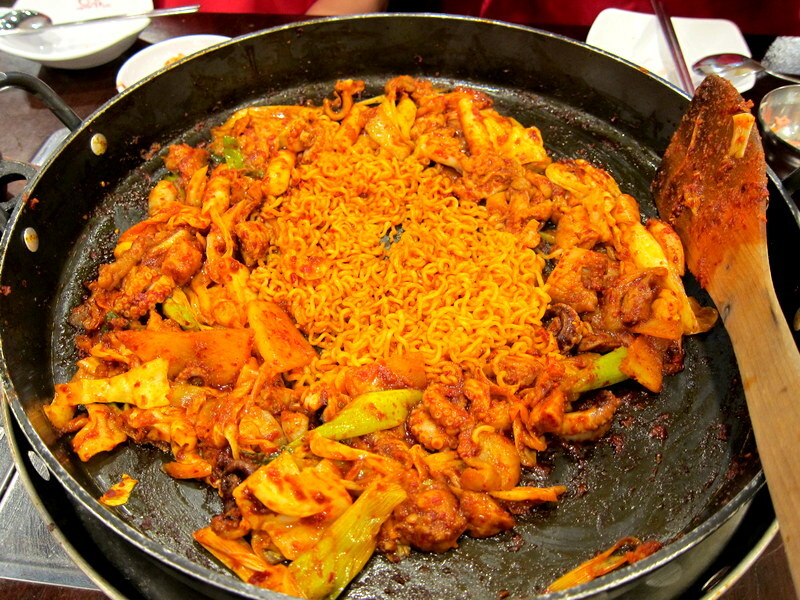 So that’s Yoogane for us and it’s one of the rarer Korean meals that I would have. Pretty fun to look at and also inexpensive (as we spent about $74) for this whole meal, Yoogane would definitely continue to attract large crowds. 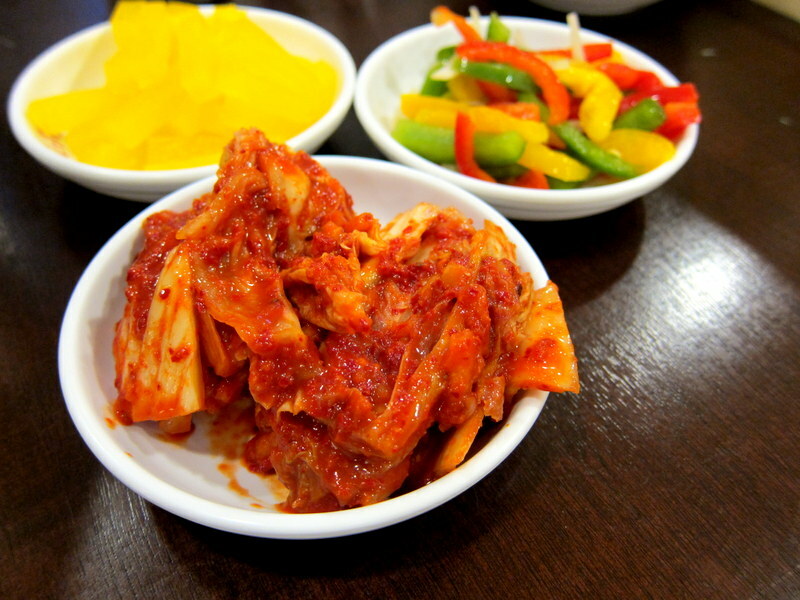 Verdict: A good restaurant if you enjoy Korean comfort food.